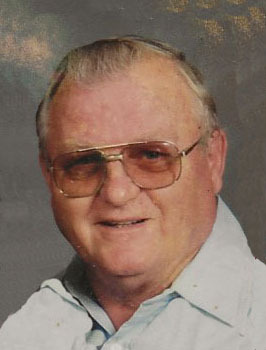 B. Allen Payne, 84, of Mt. Pleasant, IA, passed away Wednesday, April 25, 2018, at the Henry County Health Center. Born August 18, 1933, in Monmouth, IL, Birdsell Allen was the son of Birdsell and Margaret (Rose) Payne. He attended school at Monmouth, IL. On July 24, 1950, Allen married Lorna Elaine Nelson at Red Lodge, MT. When first married, Allen was working in Yellowstone Park on road crews. He then spent most of his married life in the Mt. Pleasant area with brief periods of living at Forest Grove and Grass Range, MT. While in the Mt. Pleasant area, he worked as a mechanic, a heavy equipment operator for Ray Leitch Construction and J.I. Case Company in Burlington, and the manager of Payne’s Swap Shop (guns, hunting, and fishing equipment). Allen was a life time fisherman and big game hunter with many trips to Montana and Colorado in pursuit of elk, deer, and moose. He enjoyed motorcycles, four wheelers, and pickup trucks. Allen was one of Jehovah’s Witnesses and enjoyed talking with people and sharing his faith. In addition to his wife, Lorna, Allen is survived by a son, Terry (Cheryl) Payne of Mt. Pleasant; a granddaughter, Jenine Payne of Mt. Pleasant; two grandsons, Erik (Andrea) Payne and Aaron Payne, all of Mt. Pleasant; and a sister, Margaret of Galesburg, IL. Preceding Allen in death were his parents; a son, Randy Payne; a brother, Carl Payne; and three sisters, Rose, Linda, and Shirley.